What a gem of a property. If you are searching for Island Living you found your home! Nestled among beautiful beach bungalows, tree lined streets and only a short walk to the Gulf of Mexico, this is truly what Island living is all about! The one car garage offers plenty of room for all your toys, and there is an added bonus room just off the garage. The main living level is open and bright. The layout of the kitchen, dining and living offers a great space to entertain in. The kitchen has plenty of counter space for prepping meals or spreading out your holiday buffet for guests. The appliances are updated and the cabinet space is ample. The main living area offers a wood burning fireplace for those cooler evenings. Grab a glass of wine and take a seat outside those sliding glass doors, your view of the tropical landscaping and pool lends to the retreat feel you are searching for. Florida at it's finest! Upstairs you will find TWO MASTER SUITES EACH WITH IT'S OWN BATH. One of the Masters offers a walk in closet with an ensuite that has dual sinks and a balcony with that same gorgeous view. The other Master offers its own bath and plenty of closet space. The best part about the upstairs is the fact the laundry room sits between the two bedrooms, PERFECT! 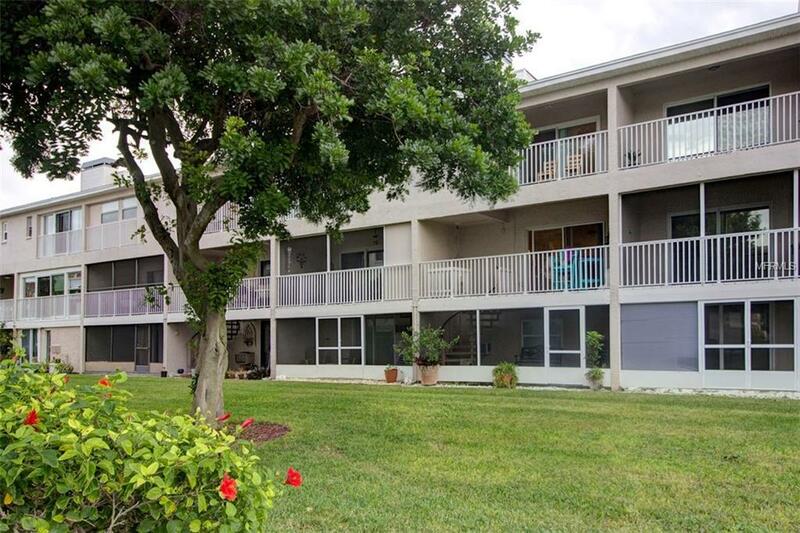 This town home is close to Roselli Park, which has a playground, tennis courts and other neat features. You are also close to John's Pass which offers entertainment, breweries, and shopping. Add this home to your MUST SEE list! Additional Lease Restrictions Please Refer To Pbm. Pet Restrictions Please Refer To Pbm Management.